May 26, 2011 - The Combat Division of Reservoir Fire Department would like to congratulate Quincy Burton, our newest graduate from the Mississippi State Fire Academy's basic firefighter course. This course certifies each recruit at the Firefighter I & II level in accordance with NFPA 1001: Standard for Firefighter Professional Qualifications. During the intense six weeks of training, each recruit received instruction in areas such as fire behavior, fire suppression, rescue, forcible entry, ventilation, hazardous material response, and firefighter safety. During the six week course, Firefighter Burton was elected by his peers as Class Captain of Recruit Class 130. As Class Captain, Burton was responsible for command, leadership and organization of Class 130, as well as serving as the liaison between the recruits and the instructors. April 18, 2011 - The Reservoir Fire Department will begin its annual hydrant testing today. This testing process is required by the Mississippi State Rating Bureau in order for the Reservoir Fire Department to maintain its current fire rating. Also, this process will ensure that the hydrant and water system is functioning properly and it is providing an adequate water supply in case of a fire. The areas along Spillway Road, Old Fannin Road, Hugh Ward Boulevard and Grants Ferry Road will be conducted first, followed by the Castlewoods area, and concluding in the Northshore area to include Northshore Parkway, Bay Pointe, Palisades and Marblehead. Testing will take place Monday through Friday between the hours of 8:30 a.m. and 3:30 p.m. Each hydrant will be opened and flowed for approximately five seconds. With just over 900 hydrants to test, the testing process will take at least three to four weeks to complete. During this process, the water from faucets or washing machines may become slightly discolored. This discoloration poses no health hazards and can be alleviated by running the faucets for a few seconds or running an empty cycle through your washing machine. Once the faucet has been turned on for a few seconds, water clarity should return. March 12, 2011 - Remember tonight starts Daylight Saving Time, so be sure to set your clocks ahead one hour at 2 a.m. Also, this is a great time to change the batteries in your smoke detectors and CO detectors. Can you remember how long the current batteries have been in the detector? Go ahead and change them today, this small task just might save your life! February 17, 2011- The Combat Division of Reservoir Fire Department would like to congratulate our newest graduates from the Mississippi State Fire Academy's basic firefighter course. This course certifies each recruit at the Firefighter I & II level in accordance with NFPA 1001: Standard for Firefighter Professional Qualifications. During the intense six weeks of training, each recruit received instruction in areas such as fire behavior, fire suppression, rescue, forcible entry, ventilation, hazardous material response, and firefighter safety. Graduating from Recruit Class 127 is Adam Kitchens, Angelo Sterling Jr., and Dale Tate. August 18, 2010- The Volunteer Division of Reservoir Fire Department is currently accepting applications for Volunteer Firefighter. Visit the Employment section of the website for the appropriate applications, as well as requirements and other pertinent information. October 30, 2009- The Reservoir Challenge Team was in Arlington Texas for the U.S. National Competition. They had a great season but caught a tough break at the National Competition when the stair runner fell running up the stairs and lost his lead to the other team. Deputy Chief Josh Swales came away with a 2nd place overall in the Chief's division to finish the year ranked 2nd in the Nation. Watch videos on www.youtube.com, search Team Reservoir. September 25, 2009- The Reservoir Challenge Team to Tyler Texas for the fiercest competition of the year! The Tyler Texas event is huge with close to 400 Firefighters that attend the event. Deputy Chief Josh Swales (Captain of the Challenge Team) said " the Tyler event is a good comparison of what the U.S. Nationals event is like, the event is huge and has the toughest teams that you will see competing in a regional event." But our Bravest did it once again and pulled off another great exhibition of their skills in physical fitness! The walked away with a 4th place Team finish, 3rd overall Relay finish, and Clarence Parks had a Top Ten Individual finish. Watch videos on www.youtube.com, search Team Reservoir. August 15, 2009- The Reservoir Challenge Team travels to Kentucky and goes up against some of the toughest competition of the season. There were over 300 Firefighters that competed at the Lexington, KY event and the Reservoir walked away with a 6th place Team finish and an amazing 2nd place Relay finish! They lost a very exciting down to the wire race against one of the top teams in the U.S. when our dummy dragger fell at the finish line! They ran hard and made us proud once again! Watch the videos on www.youtube.com, search Team Reservoir. MAY 22, 2009- The Reservoir Challenge Team comes away successful at Brandon event. Challenge Teams from all over the U.S. came to compete in the fourth annual Fire Fest at Lakeshore Park, and our Bravest were able to hold off most of the competition and placed 2nd overall in the team division, 3rd in the relay division! Also worth noting Clarence Parks, Josh Swales, and Ty Jones all finished in the Top Ten for individual males. MAY10, 2008- At 15:52 Reservoir Fire was dispatched to the address of 302B Bent Creek Circle for a report of a house fire. Engine 1 arrived first and found a single story multi-family duplex structure with heavy smoke showing from apartment B. Engine 1A advised the second arriving engine to catch hydrant and supply Engine 1 with water. Engine 1A established "Bent Creek Circle Command". Engine 1's crew stretched hose line through the front door and quickly had the fire under control. The fire was contained to the kitchen and living room area. Crews remained on scene for several hours performing overhaul and extinguishing hot spots. Both Apartment A and B we cleared of smoke and command turned the properties back over to the homeowners. All units cleared the scene at 18:23. FEBRUARY 10, 2008- At 19:12 Reservoir Fire was alerted to respond to the intersection of Hwy 25 and Holly Bush Road for a report of a traffic accident with injuries. Rescue 1 arrived on scene and found a “t-bone” type collision with the driver and two passengers of one vehicle trapped inside. Rescue 1A established "Hwy 25 Command". Crews stabilized the vehicle, quickly removed all four doors and roof, and safely extricated all patients .The back seat passenger remained pinned due to her foot being caught under the front passenger seat. The seat frame was cut and the patient was removed from the vehicle. All three patients were transported to the local trauma center. All units cleared the scene at 21:02. FEBRUARY 9, 2008- 12:58 Reservoir Fire was alerted to respond to 115 Holmar Drive for a report of a RV on fire in the driveway. DC-1 arrived on scene and found a 30 ft. RV fully involved and endangering a structure. DC-1 established "Holmar Drive Command". Engine 1 arrived on scene and advanced a 1 ¾” attack line and began to extinguish the fire. A second hose line was pulled to protect exposures. The fire was brought under control within minutes. All units returned to service at 13:56. FEBRUARY 5, 2008- At 05:56 Reservoir Fire was alerted to respond to Hwy 25 just north of Mt. Helm Road for a report of a traffic accident with injuries. Engine 3 arrived first on scene and found a two car MVA with one of the vehicles involved being a flat bed truck carrying bricks. The driver of the second car rear ended the flat bed truck and then turned over. All patients were out of the vehicles upon arrival. Engine 3 had "Hwy 25 Command". The driver of the pickup was transported to a local hospital. All units were back in service at 07:05. February 2, 2008- The Reservoir Volunteer Fire Department held its annual boot drive and raised over $4,500 to purchase much needed equipment. Reservoir Volunteer Fire Department would like to thank everyone for their generous donations and their continued support. JANUARY 19, 2008 - 07:30 As the first snowfall in several years in the Jackson area began to fall, Reservoir Fire was alerted to respond to 319 Lakeside Drive for a report of a house fire. Engine 1 arrived first and found a single story residential structure with nothing showing from the street. Engine 1 established "Lakeside Drive Command" .After investigating the structure, crews found a hot water heater on fire in a closet. Crews removed the hot water heater and checked for fire extension in the walls. Units remained on scene for about an hour before returning to service. Shortly after returning to service, Engine 2 was alerted to respond mutual aid to assist Langford VFD at 730 North Oak Ridge Drive for a report of a chimney fire. Engine 2 arrived as the second engine in and found a two story residential structure with nothing showing. Engine 2 remained on scene assisting Langford FD in extinguishing the fire in the chimney. After checking for fire extension in the attic, Engine 2 returned to service. The snow continued to fall throughout most of the morning and Reservoir FD responded to several other incidents before the temperatures began to rise above freezing, and by mid afternoon what snow had accumulated was gone. September 18, 2007 - At 15:20 While returning to the station from an automatic fire alarm in a dwelling, Reservoir Fire was alerted to respond to a commercial fire at 1877 Spillway Rd, Fresh Market Cafe. First unit marked on the scene reported a single story commercial structure with smoke showing from the rear. Crews located the fire in the kitchen. The fire was contained to the kitchen area and crews checked for fire extension with the thermal imaging camera. The structure was ventilated and cleared of any hazards. All units returned to service at 15:46. September 13, 2007 - As Tropical storm Houmberto moved through the area, Reservoir Fire was alerted at 16:17 for a report of a house on fire at 224 Haddon Circle. Training 1 marked on scene first and reported a two story residential structure with heavy fire through the roof. Training 1 established "Haddon Circle Command". Engine 1 arrived seconds later and stretched a 1 ¾” hose line through the front door, advancing to the second floor and began extinguishing the fire. The fire was under control within 30 minutes. The fire consumed about 40 percent of the roof and 75 percent of the second floor. All Reservoir units cleared the scene at 18:30. September 11, 2007 - At 8:20 Reservoir Fire was alerted to respond to assist Lake Harbor and Leesburg Fire Depts. at 630 Sand Hill Rd. for a house fire. Engine 3 went enroute with a crew of six. While enroute, "Sand Hill Road Command" advised Engine 3 that they had a single story structure with heavy fire threw the roof. As Engine 3 turned onto HWY 25 off of Holly bush Road, smoke could be seen and it was clear they had a working fire. As Engine 3 approached the scene, command advised all units on scene to evacuate the structure and go to a defensive attack. Engine 3 arrived and command quickly put Engine 3 to work by operating a 3inch hose line at the rear of the structure. Due to the size of the house and heavy fire conditions, Pelahatchie Fire Dept. was requested to respond their Tanker 1. Engine 3 remained on scene for several hours extinguishing the fire. All Reservoir units cleared the scene at 12:14. September 4, 2007 - At 09:18 Reservoir Fire was alerted to respond to the area of Old Fannin Road and Eagle Drive for a report of a traffic accident with possible injuries. While enroute, Dispatch advised Engine 1 and Engine 3 that a Rankin County Sheriff Deputy was on scene reporting a single vehicle accident with one patient trapped inside their vehicle. Engine 1 arrived and established "Old Fannin Rd Command". Crews found a passenger vehicle on its side, against a tree with the driver still in the vehicle. Crews removed a portion of the driver’s door and removed the patient from the car. The patient was transported to a local hospital and all Reservoir units cleared the scene at 10:23. Reservoir Fire Department Combat Challenge Team traveled to Tyler, Texas to compete in the Brookshires Firefighter Combat Challenge. The team did very well and is looking forward to traveling to Atlanta, Georgia in October to compete in the U.S. Nationals. While in Tyler, the Engine crews remained busy over the holiday weekend responding to numerous medical calls and fire alarms. Also during the holiday period, E1 and E3 responded to a traffic accident at the intersection of Spillway Road @ Pelahatchie Shore Drive with one person pinned in their vehicle. The Jaws of Life was used and the patient was transported to a local hospital. The Reservoir Dive Team staffed Boat 1 during the holiday weekend and thankfully their services were not needed as there were no incidents on the water. Reservoir Fire Department hoped everyone had a safe and fun Labor Day weekend. August 27, 2007 - At 09:31 Reservoir Fire was requested to respond to with manpower only to assist Langford and Evergreen Fire Departments for a house fire at 109 Crestview Drive. Rescue 1 and Brush 1 responded with 5 personnel. Training 1 arrived with Langford Engine 2 and found a single story residential structure with light smoke showing. Crews found a small fire in the living room and quickly extinguished the fire. The fire was contained to the living room area of the house. Command cancelled Brandon Engine 1 and requested the proper utility companies respond to this location. Crews remained on scene checking for fire extension in the walls and attic area. All units returned to service within an hour. August 23,2007 - At 23:04 Reservoir Fire was alerted to respond to Spillway Road on top of the Spillway Dam for a report of an accident with injuries. Engine 1 arrived on scene and found a 2-car MVC with one of the cars in the water. One patient was found under the bridge holding onto one of the bridge supports. Engine 1 established “Spillway Road Command”. Command requested for Boat 1 to respond to rescue the patient from the water. Crews lowered a rope and life jacket to the patient. Reservoir Patrol’s boat arrived minutes later and rescued the patient from the water. Command cancelled Boat 1. One patient was transported to local hospital. All units returned to service @ 00:31. August 20, 2007 - At 21:09 Reservoir Fire was dispatched to 229 Mattie Burnett Drive for injuries from a physical disturbance. While enroute, dispatch advised Engine 3 that deputies were on scene and stated there were several persons that had been shot. Also there were several persons that had been assaulted with a baseball bat. Engine 3 requested Engine 1 be added to this assignment to help treat the injured. Engine 3 arrived on scene and found 2 people shot, with a third person that had been shot and had left the scene. Patients were treated on scene was trauma related to the baseball bat and three patients were transported to local emergency rooms. The incident is under investigation by the Rankin County Sheriffs’ Department. June 26, 2007 – 11:16 Reservoir Fire Department was dispatched to the area of Fannin Landing Circle @ Mattie Burnett Drive for a report of a trailer fire. Units arrived on scene and found a single wide mobile home over 50% involved. Due to no hydrant in the area, Lake Harbor VFD Tanker 1 was requested and responded for additional water supply. Crews operated two handlines and had the fire under control after approximately 30 minutes. All units back in service @ 13:47. June 18, 2007 -15:45 Reservoir was dispatched to assist Flowood Fire Department at 150 Park Circle, Shadow Lake Apartments, for an apartment fire. Engine 1 and Training 1 responded with a five man crew. Engine 1 arrived on scene and reported to command. Command assigned Reservoir personnel to the 3rd floor to assist crews with overhaul and check for fire extension. After operating on the 3rd floor for approximately 30-45 minutes, the fire was ruled “out” by command. Flowood command released all Reservoir Fire Department personnel. June 11, 2007 – 09:05 E2, E3, R1, Training 1 and FD1 responded to 711B Bay Park Drive for a residential fire. Upon arrival, units found a 2-story residential duplex with heavy smoke coming from 711B Bay Park Drive. FD1 established “Bay Park Command”. After making entry into the residence with a 1 ¾” handline, attack crew experienced heavy smoke and zero visibility on second floor. Fire was extinguished quickly and contained to upstairs bedroom and bathroom. No fire or smoke damage to adjacent residence. Occupants of 711A were at home at the time of the fire and were evacuated from residence by FD1 and moved to a safe distance away from the structure. All units were back in service at 10:18. June 2, 2007 - Reservoir Fire Department participated in the Grand Opening of Fannin Lanes Bowling Alley. Reservoir Fire Department members were on hand displaying Engine 1, Rescue 1 and passing out flyers about Fire Fest 2007. Firefighters enjoyed crawfish and live bands throughout the day. Reservoir Fire Department would like to thank everyone who attended this event and for their continued support. May 5, 2007 -20:57 Engine 3, Engine 1 and Lake Harbor Volunteer Fire Department responded to 1037 Abbie Drive for a report of a residential fire. While enroute, all units were advised by dispatch that they were receiving multiple calls reporting that smoke could be seen coming from this address. Engine 3 arrived on scene, followed immediately by Engine 1, and reported a single story residential structure with smoke coming from the rear of the residence. Engine 3 established “Abbie Drive Command”. Engine 1 crew forced entry through the front door and found the bulk of the fire in the kitchen. Crews quickly had the fire under control. Command advised Lake Harbor VFD Tanker 1 and Tanker 2 to continue to the scene for overhaul operations. Lake Harbor Engine 1 transferred to Reservoir Station 1 to assist Reservoir Engine 2 in covering the response area until all units had returned to service. All units cleared the scene at 21:42. April 30, 2007 -03:58 Reservoir Fire was alerted to respond to 340 Brendalwood Cove for a report of a residential fire. Engine 1 arrived on scene and found a single story multiple family duplex with smoke showing. Engine 1A passed command to the next arriving engine. Engine 1 advanced a 200 ft 1 ¾” hoseline inside the structure and found a bedroom on fire. Engine 3 arrived on scene and established “Brendalwood Cove Command”. Engine 1 personnel kept the fire contained to one bedroom. One occupant was transported to a local hospital for smoke inhalation. All units returned to service at 05:32. April 28, 2007 - The Reservoir Volunteer Fire Department held its annual boot drive and raised over $5,600 to purchase much needed equipment. Reservoir Volunteer Fire Department would like to thank everyone for their generous donations and their continued support. April 28, 2007 -06:18 Reservoir Fire was alerted to respond to 140 Arrowhead Trail for a report of a RV on fire next to a structure. Engine 1 arrived on scene and found a RV fully involved. Engine 1 advised all responding units that the RV was not endangering any structures. Engine 1A established “Arrowhead Trail Command”. Engine 1 quickly had the fire under control. The RV was a total loss, all units returned to service at 07:02. Brush Fire On Holly Bush Rd. March 27, 2007 -12:36 Reservoir Fire was alerted to respond to the area of Holly Bush Rd. and Stump Ridge Rd. for a report of a brush fire. Engine 3 reported to dispatch that smoke could be seen from Clark Creek Rd. and Holly Bush Rd., and requested for Lake Harbor Tanker 1 and Brush 1 be added to the assignment. Engine 3 arrived, and found a large brush fire endangering a structure. Engine 3 established "Holly Bush Rd. Command." Engine 3's crew advanced a hose-line to protect the structure that was in danger. Engine 1's crew arrived, and walked the perimeter with rakes and fire flaps to try to put a stop on the fire. MS Forestry Service was notified, arrived, and plowed a fire line around the fire. The fire burned 20 acres, and was under-control in about 45 minutes. All units returned to service at 14:46. March 22, 2007 - 08:30 Reservoir Fire personnel staffed Engine 1 to make an appearance at the Mississippi State Capitol to rally for a new burn center for the State of Mississippi. Engine 1 met up with other fire departments that participated in this event at the Jackson Coliseum. After leaving the coliseum, the fire trucks paraded up High St. towards the State Capitol Building. The fire apparatus then paraded around the capital building for 1/2 hour. The purpose of the rally was to convince the state legislators the need to sign the bill for a new burn center for the State of Mississippi. Presently the State of Mississippi doesn't have a burn center. The burn center in Mississippi ceased operation several years ago due to a lack of funding. Other fire departments who attended this event included: Ridgeland, Jackson, Southwest Madison, Richland, Copiah County EMA, Clinton, Philadelphia, Hazlehurst and the Mississippi Sate Fire Academy. Engine 1 returned to station 1 at 11:30. March 12, 2007- 15:03 Reservoir Fire Dept. was alerted to respond to assist Langford Fire Dept. for a report of a house fire at the end of Johnson Dr. Engine 3 went en route and reported to dispatch that smoke could be seen from Station 3. Reservoir Training 1 arrived first, and found a single-wide mobile home fully involved with ten cars in the front yard on fire. Training 1 advised dispatch he had "Johnson Dr. Command." Command advised dispatch to also get Flowood FD and Evergreen FD en route for water and manpower. Due to the lack of fire hydrants in the area, Evergreen FD was requested to bring their tankers for water shuttle operations. The house and cars in the front yard were total losses, and no injuries were reported. Engine 3 and Training 1 cleared the scene at 16:23. March 5, 2007- 19:58 Engine 3 was alerted to assist Lake Harbor Fire Dept. for a report of a trailer fire next door to 326 Lake Harbor Rd. Lake Harbor FD 1 arrived, and found a double-wide mobile home with heavy smoke showing. Lake Harbor FD1 established "Lake Harbor Rd. Command." Engine 3 and Training 1 arrived about the same time command advised dispatch the fire was under control. Engine 3 crew went in with the thermal imaging camera to check for extension. The fire was contained to one bedroom. E-3 and Training 1 returned to service at 21:06. January 29, 2007- 04:36 Reservoir Fire was alerted to respond to HWY 25, North of Holly Bush Rd. for a report of a motor vehicle accident with injuries. Engine 3 arrived and found a one car MVA with one trapped and 3 ejected. The vehicle was sitting in a upright position and appeared to have rolled over several times. Engine 3A established "HWY 25 Command". Engine 3 and Engine 1 crews went to work extricating the patient, and treating the three patients that were ejected. All four patients were transported to UMC. Units cleared the scene at 06:05. AWARDS DINNER AT RESERVOIR FIRE DEPT. January 21,2007-16:30 Family and friends enjoyed an evening to honor the Reservoir firefighters. Awards were given out to Volunteer Firefighter, Firefighter, and Officer of the Year. Special congratulations to Steve Wood for Volunteer Firefighter of the Year, Danny Stevens for Firefighter of the Year, and Josh Swales for Officer of the Year. Thanks to everyone who attended this event. January 20, 2007 - 23:24 Reservoir Fire was alerted to respond to the 100 block of Bellegrove Circle for a report of a garage on fire. Engine 1 arrived and found a single-story structure with smoke and fire showing. Engine 1A established "Bellegrove Circle Command". Engine 1's crew made entry into the garage and found heavy fire. Crews quickly extinguished the fire in the garage and then gained access into the attic to prevent further extension. Within ten to minutes of Engine 1's arrival command advised dispatch the fire was out. No injuries were reported, all units cleared the scene at 01:18. January 9, 2007- 14:04 Reservoir Fire was alerted to respond on a mutual aid assignment to assist Lake Harbor FD for a report of a house on fire in the 100 block of Goshen Ln. Reservoir E-1 arrived first and found a single wide mobile home with light smoke showing, E-1 established Goshen Ln. command. Crews went in and found an oven on fire. The fire was extinguished and ventilation operations was set up. All units cleared the scene at 14:49. 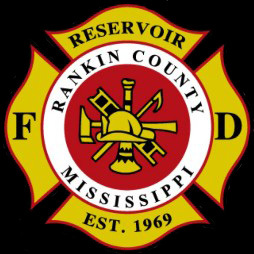 December 21, 2006 - 13:16 Reservoir Fire was alerted for a report of a house on fire at 144 Bryant High St. Rankin County Sheriff Deputy arrived first and reported smoke showing. Engine 3 arrived shortly after confirming they had a working fire by reporting to dispatch with heavy smoke showing from a single wide mobile home. Engine 3A established command. Crews went in operating one hose line and put a quick knock on the fire. The fire was contained to the kitchen area. No injuries were reported, all units cleared the scene at 14:10. November 17 2006 - 16:01 communications alerted Langford and Evergreen Fire Depts. to respond to the 900 block of Andrew Chapel RD for a report of a house fire. While Langford Engine 2 was responding they reported that smoke could be seen a good distance away, and request for more mutual aid departments. Langford Engine 2 arrived on scene and found a single story structure fully involved with 15-20 disabled vehicles in the front yard. All units clear from the scene at 19:21. October 5, 2006 - At 16:01 communications alerted Reservoir FD for a report of a house on fire in the 100 block of Langford Drive. Reservoir FD 1 marked on the scene first advised he had a single story residential structure with fire through the roof on side "D" (Delta). FD 1 established "Langford Dr. Command" until the arrival of Langford FD 1. Reservoir E-2,E-3 arrived shortly after Reservoir FD 1. E-2,E-3's crew went in operating two hand lines with 7 personnel. Due to heavy fire conditions in the attic, crews were forced to pull out of the structure. October 2, 2006 - Communications alerted Reservoir FD for a report of a house fire at 113 Swallow Dr. While en route Dispatch advised all responding units that they were receiving multiple calls reporting they could see fire coming from this address. Engine 1 arrived and found a two story residential structure with heavy fire showing. Engine 1A established "Swallow Dr. Command".